Yes, yes, it’s back. The Forbidden Dance locations challenge has arrived once again in Fortnite Season 7, just as it did all those seasons ago. 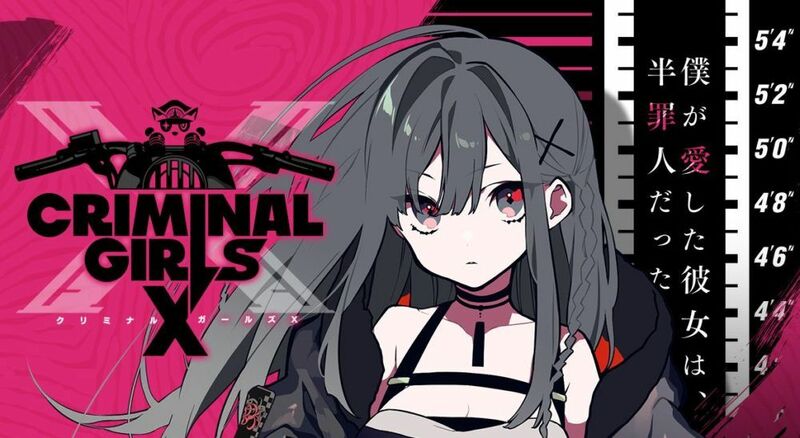 This time, however, the locations have changed. Well, at least some of them have. To give you a helping hand, we’re running you through all Season 7 Forbidden Dance locations in Fortnite, complete with screenshots to make tracking them down even easier. 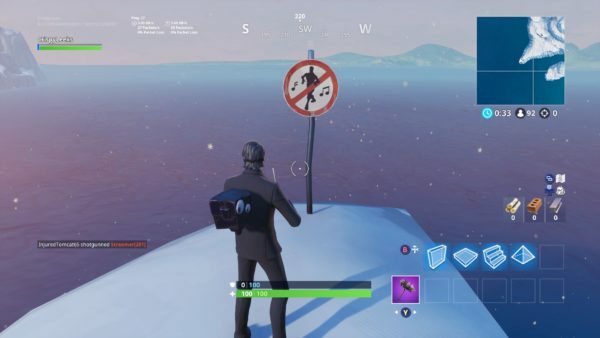 Found a Forbidden Dance location in Season 7 that we haven’t listed here? Do us a favor and let us know down in the comments below and we’ll be sure to credit you for your find. Below, we’ve broken down each location with a screenshot and a brief description of exactly where you’ll need to go to find them. 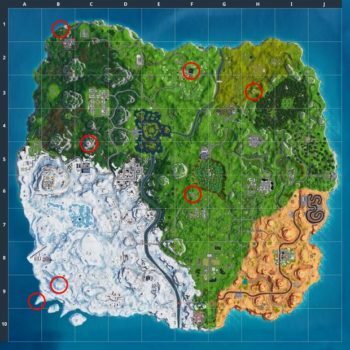 If you’d rather just take a look at a map with all the Season 7 Forbidden Dance locations circled, however, you can check out the map immediately below. 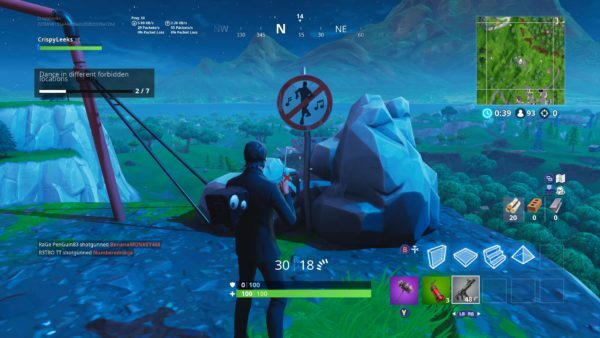 The first of the Forbidden Dance locations we’ve spotted in Fortnite Season 7 can be found literally right next to the llama structure in the northwest corner of the map. Dance in front of the sign, and you’ll tick one off the challenge. Another of the Season 7 Forbidden locations can be found at the very top of the mountain directly south of Pleasant Park. 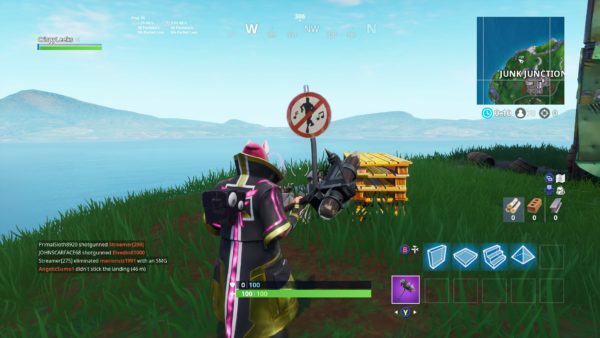 Another of the Forbidden locations can be found just to the west of Wailing Woods. Look out for the RV and two Quadcrushers on the small mount. The sign is just by the rocks. 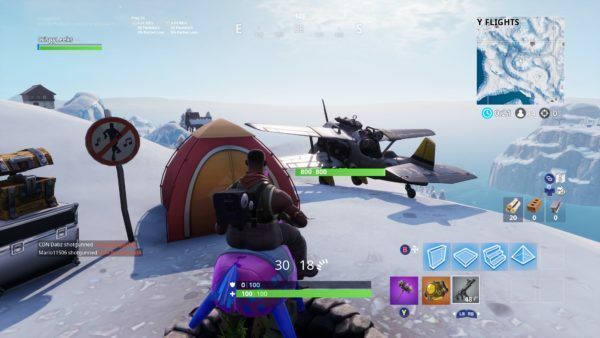 Another of the locations is actually just to the southeast of Frosty Flights in the new Iceberg biome. You’ll need to look out for a tiny hill, just to the south of the western-most cabin on the mountains around this area. One of the X-4 Stormwing planes can be found on top of here, too. 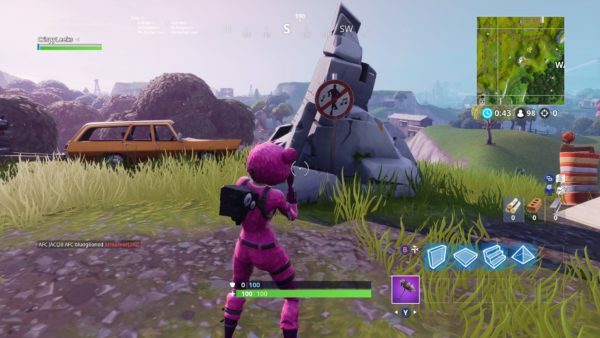 You’ll find another of the Forbidden Dance spots for Fortnite Season 7’s week 1 challenge by heading to the mountain directly southwest of Dusty Divot. 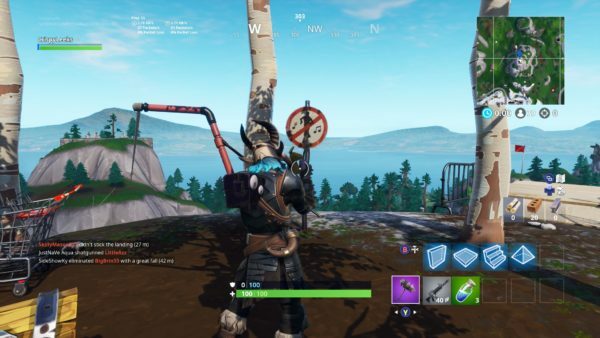 Right next to the zipline down, you’ll see the sign. 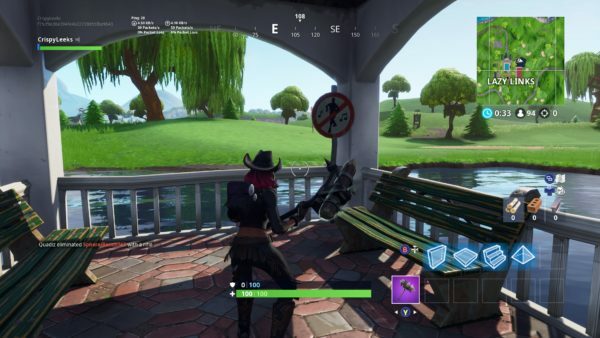 The sixth of the Forbidden locations in Season 7 can be found on the little jetty out on east side of Lazy Links. It’s in the little hut out on the water. The final of the Season 7 Forbidden Dance locations for Fortnite’s week 1 challenge is right on the end of the Iceberg biome that’s just been added. It’s right in the southwest corner on one of those fingers stretching out from the main island itself. Check out screenshot down below. And that’s all of the Forbidden Dance locations we’ve found for you to complete the Season 7 week 1 challenge so far. For more tips, tricks, and guides for the current season, be sure to check out our ever-expanding Fortnite Season 7 guide wiki.